Super quality steps for trade use at a budget price! 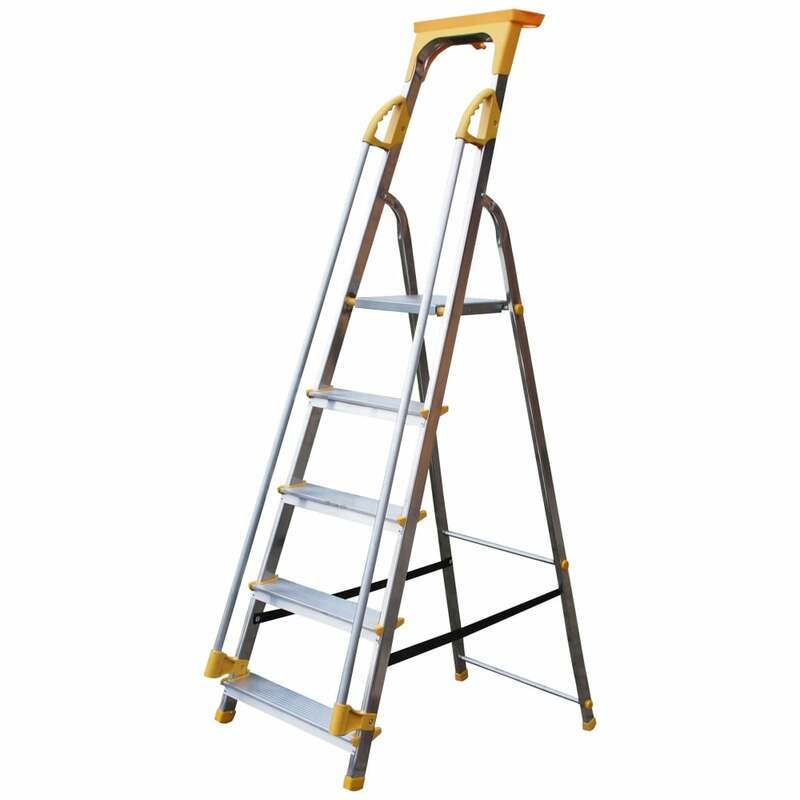 Secure anti-slip top platform with high safety rail. Fitted with 80mm wide anti-slip treads for safety and comfort. Fitted with twin handle rail for added safety. Complete with handy plastic tool tray.